Award-winning recording artist and music executive Tommy Page, a longtime New York resident, died on Saturday March 4, 2017 at his vacation home in East Stroudsburg, Pennsylvania. Born in Glen Ridge, New Jersey in 1970, Thomas Alden Page graduated from James Caldwell High School and later New York University’s Stern School of Business. 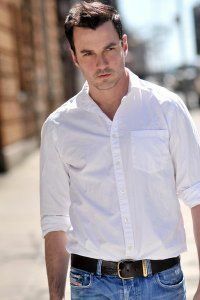 Known best as a singer and songwriter, Tommy Page fulfilled a lifelong dream early, reaching #1 on the Billboard charts in 1990 with his song “I’ll Be Your Everything.” He also toured with New Kids on the Block and Debbie Gibson, and had a fan-favorite guest-starring role on an episode of the TV show Full House. Page’s eight follow-up studio albums were highly successful in Southeast Asia, building an enduring fan base that would draw him back for reunion tours in recent years. After his initial success as an artist, Page expanded into other areas of the music business as well, finding great success as an executive at Warner Brothers/Reprise, where he guided the careers of artists ranging from Michael Buble and Josh Groban to Green Day and Alanis Morissette. As the industry evolved, Page reinvented himself again, working as an executive at Pandora, publisher at Billboard, SVP at Cumulus Media, and, at the time of his death, VP of Music Partnerships at the Village Voice. Tommy is survived by his loving husband Charlie and their three children, his parents Fred and Miriam Page, and his sister Janet Hennessey of Princeton, NJ and brothers Bill Page of Cleveland, Ohio and James Page of Long Valley, NJ. He is also loved and missed by hundreds of friends, colleagues and mentees, who remember him for his effusive kindness and generous heart, not to mention thousands of fans worldwide. Friends and family are invited to a visitation at the Galante Funeral Home, 54 Roseland Ave. Caldwell on Tuesday, March 7 from 5:00-8:00 pm. A funeral service will take place on Wednesday, March 8 at 10:00 am at the First Presbyterian Church of Caldwell, 326 Bloomfield Ave. Caldwell. Interment will follow at Prospect Hill Cemetery. A memorial service for fans will be held at a later date. In lieu of flowers, Page’s family has asked that donations be made to the T.J. Martell Foundation (of which Tommy was a director), which funds essential leukemia, cancer and AIDS research.